This month, we received an award, welcomed new housemates, and made Seers Isle available in a bookstore. That’s the cycle of life. The bad news is that our friends from Shinypix moved out of the 21 rue des Retaillons (Nova-box’s batcave, where the magic happens) to rise up to new challenges and opportunities. We wish Fabrice, Ludo, Julien and Olivier all the best, happiness and success in their future endeavors. We will miss having them with us. 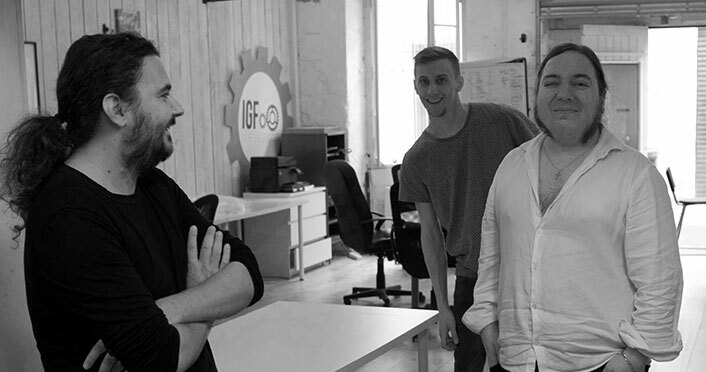 The good news is, our friends Adrien and Maxime from Studio Black Flag quickly filled in the vacant desks, moving in with us at the start of the month. You may have heard about them and their incredible upcoming game, Orphan Age, in past issues of this column. If you haven’t, I strongly suggest you take a look at it. In fact, we love their game so much we wrote a small interactive novella named Orphan Age: Diaries to go along with it. I can safely say that it’s not the last you’re hearing about them. Stay tuned. Black Flag is moving in. From left to right: Adrien, Maxime, and a tired writer. 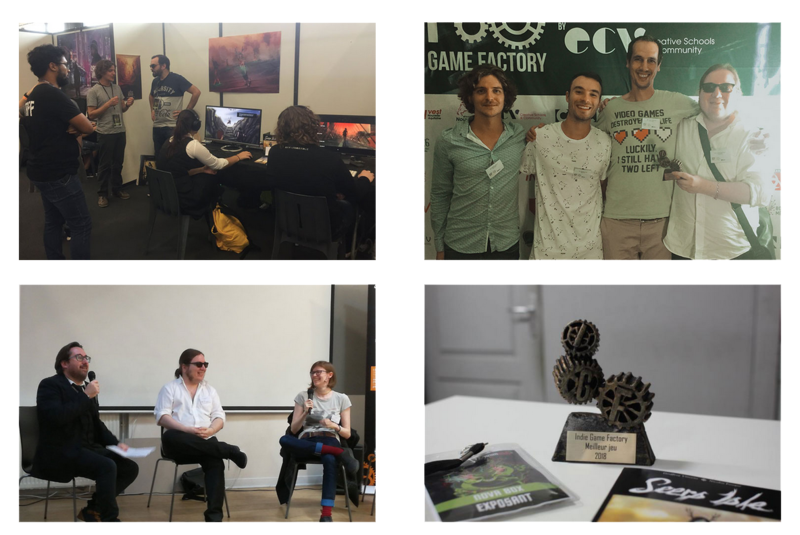 Last weekend, the team attended the “Indie Game Factory”, a professional meetup of the French game industry, followed by the Animasia convention where we showed our games to visitors. Seers Isle’s music composers, Camille and Julien, gave a speech about music and video games while I (Geoffroy) participated in a panel about narrative design and writing for video games, sharing the stage with Sybil Collas and FibreTigre. We’re also very proud to announce that we received the “Best Game of 2018” award during the convention. Our friends from Howly Games got the “Best Art Direction” award for their upcoming platformer Unspoken Chronicles: Nora (they’re doing a kickstarter campaign right now, go check it out) and Tako Studio received the “heart crush of the jury” award for their puzzle game Minimal Move. Here’s a couple of snapshots from the weekend. 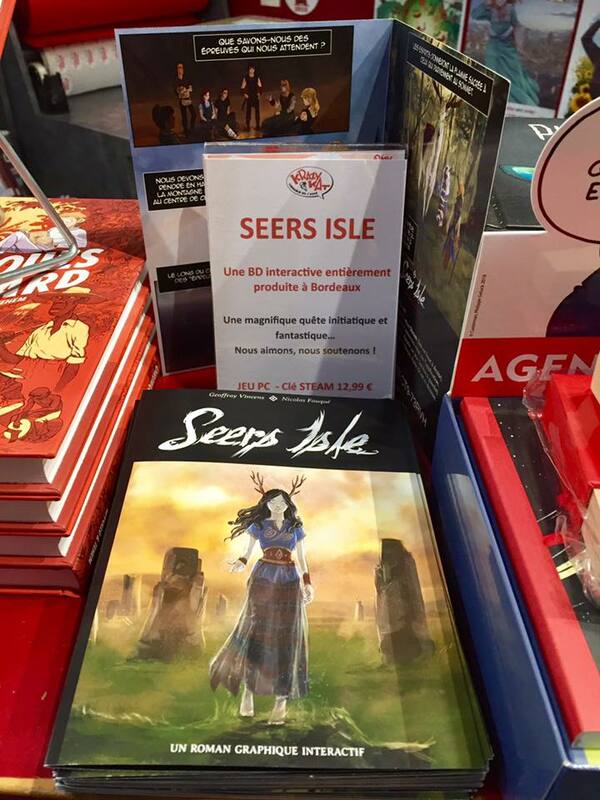 We’re thrilled to announce that you can buy Seers Isle Steam keys in a real brick and mortar shop. Our friends from Krazy Kat, a comic book store located 10 rue de la Merci in Bordeaux have a limited run of keys nestled in a nice and exclusive leaflet. If you’re in the Bordeaux area, we strongly suggest you go pay them a visit. Matthieu and his team give great advice, are very friendly, and they even have a bar where you can drink a beer or a coffee in the shop. Get Seers Isle on itch.io. Well, this month has been quite hectic with post-launch frenzy following the release of Seers Isle. However, we found some time to start the pre-production of our next project. Everything is still under the seal of secrecy, of course, but since we love you best, here’s a concept art picture, exclusive to you, newsletter subscribers.